A poster of Einstein once said, “Things should be made a simple as possible, but no simpler”. This can apply to audio amplifiers, but if they are evaluated subjectively, the simplicity thing can get a little of of hand. Of itself, minimalism exerts a strong aesthetic attraction, and there is a reasonable belief that fewer components in the signal path allows more information to get through with less coloration. If like me you are interested in understanding of how we hear distortions with our brains (instead of our meters), you might appreciate that simple circuits help isolate these phenomena. I listen to all sorts of flawed circuits because I enjoy hearing the differences, and it helps to train my ears. In this regard, reducing the number and types of flaws makes it easier to tweak a single parameter and hear the difference. I think it's also true that simple distortions are often more forgivable in a listening situation and create less fatigue. 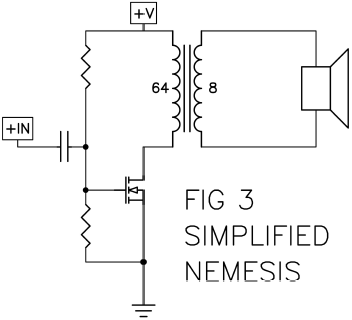 In 1985 Jean Hiraga wrote an article in two parts presenting, among other things, a design for a very simple Mosfet amplifer called the Nemesis. 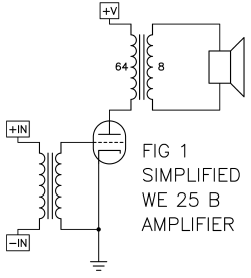 Subtitled “An Homage to the WE 25 B”, the piece celebrated classic simplicity in amplifier design, specifically a Western Electric amplifier that used a single gain triode driven by an input transformer and driving an output transformer, as shown (simplified) in Figure 1. 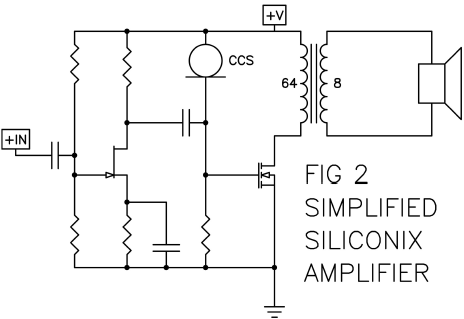 Hiraga also discussed a 1982 amplifier apparently done as an application note for Siliconix using the VN64GA N channel power Mosfet driven by a J106 Jfet shown in Figure 2. He went on to simplify this circuit by eliminating the input Jfet, driving the Gate of the power Mosfet directly (Figure 3). A second version had an interesting connection from the Source of the transistor to the secondary winding, providing both feedback for the transistor and some “auto-former support” to the output secondary (Figure 4). But Part 2 of L'amplificateur Némésis showed the final schematic where the transistor feedback connection to the secondary winding was dropped, the simplified circuit reverting back to Figure 3. It appears that he was more interested in the sound without the feedback, even though the measured performance suffered. In 1994 I played with similar concepts in the Zen Amplifier (Figure 5) and followed up with a series of variations on the theme which explored singletransistor designs, some with feedback and some without, but none of them employing output transformers. These articles can be downloaded from www.passdiy.com. At the time I was solely interested in the performance obtainable from single Class A gain stages alone and didn't want to also consider the additional distortions of passive components (including transformers) in the signal path. But there was another reason for not using transformers in the Zen amplifiers -the power Mosfets involved are already pretty happy at the voltages and currents needed by loudspeakers. Tube circuits operate at higher voltages and lower currents by a factor of about 10, so tube power amplifiers really need a transformer to efficiently transform signal energy to higher current and lower voltage when it comes to driving 8 ohms. 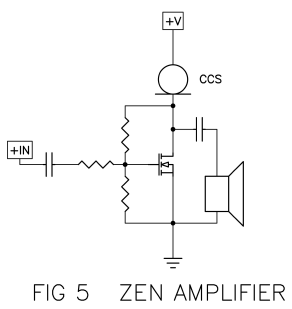 The Zen amplifier philosophy (“What is the sound of one transistor clapping?”) calls for a minimum of parts. A component has to be needed to be included, but if you alter the need criterion from “measuring better” to “sounding better” then a potentially different perspective opens up. It is a common belief among audiophiles that measurements don't correlate all that well with subjective experience This is not very surprising – the ear/brain is immensely complicated, and there are many experiments to demonstrate that our understanding of hearing is not much better than our understanding of consciousness, which is not good. Simply the fact that different cultures and individuals hear known “audio illusions” differently gives us a clue while making the problem seem more intractable. I don't expect it to be well understood in my lifetime. Some “objectivists” think that audiophile subjectivism is delusional, and they are often right, but that doesn't mean that people hear the same way as test equipment. In the first half of the 20th century, there was a reasonably clear association between measured performance and perceived performance, but probably this was due to the rather high distortion of early equipment, where 1% distortion was considered quite good. These days it's common to see amplifiers measuring .001% or even less, but the audio marketplace doesn't seem to particularly reward such achievement. One of the charms of simple circuits is that they have a better correlation between objective (measured) and subjective (heard) performance. It seems that a simple circuit that measures good is more likely to sound good than a complicated circuit that measures good. Moreover, It appears that simple amplifiers like Nemesis and the Zen make it easier to hear differences between single components and compare these subjective differences to measurements. So Why an Output Transformer? All components have distortion. We can rank them pretty easily based on simple measurements like THD (total harmonic distortion) and variations they cause in frequency response. Wire and resistors are at the top of the list because as a rule they measure quite low. Next are the capacitors, which give us low but easily measured distortions. At the bottom are active gain devices such as tubes and transistors. And transformers. Signal transformers don't tend to get a lot of respect from objectivist solid state guys due to bandwidth and distortion issues. You can build a good transistor amplifier without them, and so most do. But Hiraga was (is) not a fool, and in addition there is a small audio cult that likes transformers, even when they aren't essential. They use them for output coupling, input coupling, volume controls and passive crossovers. These are often the same people who disdain capacitors with nearly the same emotion they reserve for MP3 compression. What's wrong with these people and what is it with transformers? Who knows what's wrong with Jan? Whatever it is, apparently he addressed it by building himself a copy of the Nemesis. I heard about it because he also seems to have wanted to make more of them and talked to Jack Elliano at www.electra-print.com about getting some transformers made. Ultimately he decided that shipping to Europe was too expensive - did anyone on the forum at www.diyaudio.com want to take up the project? ...That would be me. I have spent quality time with coupling transformers before, but I had never really warmed up to them, possibly because I had not yet reached the 10,000 hour level of listening required to achieve audiophile expertise. In any case, a couple years ago I began experimenting with transformers to solve some problems in a couple of future Zen amplifier projects, and got some fairly good results (good enough for Zens, anyway). Having worked out some circuits, I acquired an assortment of transformers and began evaluating their performance with an eye toward picking the best one. They represented a wide range of cost and materials, and some clearly measured better than others, but when I listened to them I found myself drawn to the sound of one that didn't measure so well. The dissonance that measures bad/sounds good created called for an unbiased test. So I built two identical amplifiers except for transformers – the very expensive one which measured best, and the unpretentious one that didn't measure so well. I packed them off for a reliable blind test with Joe Sammut, who has 10,000 hours more listening time than me. Well, that's another data point – a transformer that measures better loses to one that does not. Perhaps if my French was any good, Hiraga would have explained it to me long ago. 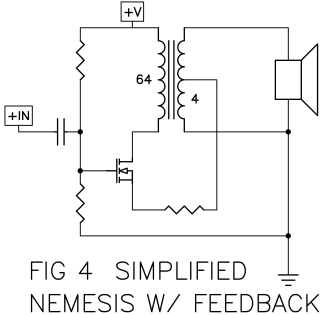 Jack sent me a nice pair of transformers, and I set about making a simple recreation of the Nemesis but with variable values for supply voltage, input DC bias, Source resistance, and resistance across both the primary and secondary coils of the transformer, as shown in Figure 6. As the schematic reveals, there is a lot of opportunity to play around. 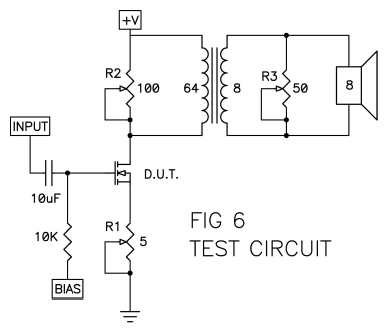 The input bias voltage ranges over +/- 10V DC. For enhancement-mode Mosfets and Jfets, it may require a positive voltage as high as 8 volts or so. 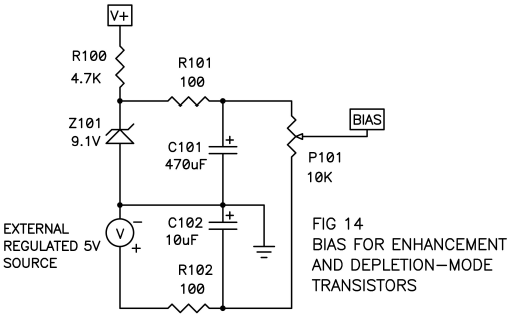 For depletionmode devices the bias voltage will range from as low as -5 volts to as high as +2 volt. The 10 Kohm resistor between the BIAS voltage and the Gate of the transistor is arbitrary. I used this value because Hiraga did, but you can consider values as high as 100 Kohm for Mosfets and depletion-mode Jfets. If you see more than 100 mV DC across it with an ehancement-mode Jfet, then you might want to reduce the value, but it's not a big deal. Not shown, but you may want to consider a 50 to 100 ohm resistor in series with the Gate of the transistor. This is customary, but I did not experience issues in this amplifier without it. If you have issues with high frequency oscillation, you will want to insert one. Of course if you are using Mosfets, you need to avoid zapping the Gate with a static shock. Elementary caution is usually more than adequate. Typically the main power supply will range from about 30 to 40 volts, but you can go lower or higher if you want, within the dissipation limits of the transistors. As it is, I ended up dissipating about 40 watts in a single transistor with 35 volts, which is pretty close to the limit. Since 30 volt supplies are common, you should feel free to use that value if it's convenient. First, I wanted to explore the limitations of the transformer. It is a single-ended design with a 64 ohm primary and 8 ohm secondary, which is about a 2.8 to 1 turns ratio. The maximum primary DC current is rated at 1.3 amps. 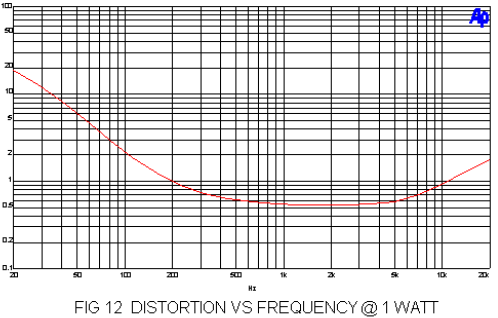 Electra Print's specification for bandwidth and distortion was taken with a 25 ohm source impedance driving the primary. 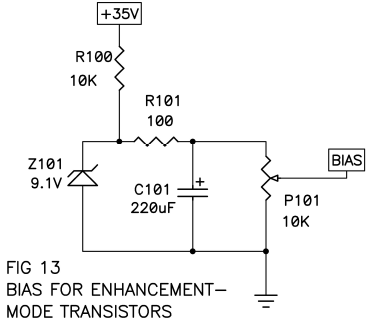 The bias current and source impedance are important factors in this circuit as they have a strong influence on the distortion and frequency response, particularly at low frequencies. If the bias current is too high, the transformer saturates at low frequencies and the distortion goes up and the frequency response suffers, as seen in Figure 7. Here we see an example of this circuit where only the bias is varied, and where higher current through the primary creates greater roll-off at the bottom end. 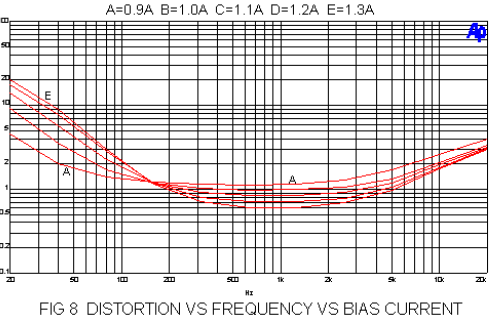 Figure 8 shows an example of distortion as a function of bias current, and we see that for circuits of this type lower bias improves the bottom end, but higher bias improves the midrange. Higher bias improves the performance of the gain device, and incidentally allows for greater power. You can appreciate that performance trade-offs will be involved. The source impedance of the circuit driving the primary of the transformer has a similar effect. This transformer was designed around a 25 ohm source. A typical Mosfet operated single-ended Class A as in Figure 6 has an intrinsic output (Drain) impedance of a couple hundred ohms or so. In Figure 6 you will see a variable resistor R2 which can be used to adjust the source impedance seen by the transformer primary. 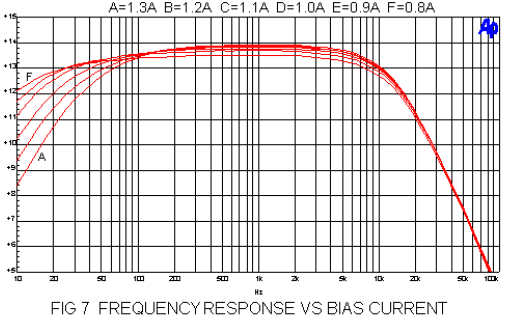 In an example test with a 1 amp bias current we see that the low frequency roll-off (-3dB) is at 40 Hz. With R2 at 75 ohms it's 25 Hz, and with 36 ohms it's 18 Hz. Distortion degradation with higher source impedance is comparable to the example of Figure 8. As with bias current, adjusting source impedance gives us the opportunity to examine potential performance compromises. Lowering the source impedance via R2 improves transformer performance, and lowers the output impedance of the amplifier as a whole (more damping factor for the loudspeaker), but it loads the gain device, making it work harder to deliver the voltage we want and creating more distortion as a result. The reason that R1, R2, and R3 are variable in this circuit is to afford the opportunity to adjust and optimize the performance against different gain devices, loudspeakers, and listener preference. There is no single right answer, but later we will look at an example that worked well in my system. For gain devices I had the old standby IRFP240 N channel enhancement-mode Mosfet, plus Ixys IXTH6N50D2 and IXTH20N50D depletion-mode Mosfets left over from the De-Lite amplifier (www.diyaudio.com). In addition to Mosfets, I had three examples of SemiSouth power Jfets, the enhancement-mode SJEP120R100 and SJEP170R550, and the depletion-mode SJDP120R085. This last part almost didn't make it into this project, as I was not prepared to talk about it until it was publicly disclosed. The SemiSouth parts are made of Silicon Carbide (SiC) and while designed for fast high efficiency switching, they turn out to have superior linearity, resulting in lower distortion. As a first step, I decided to create an apples-to-apples comparison of the performance of the gain devices. Using the circuit of Figure 6, I set the supply voltage at 32 volts, R1 at 1 ohm, R2 at 36 ohms, and R3 open. The voltage at the Bias pin was varied for each device to give a 1.2 amp bias current. Each device was measured for response, distortion vs output power, and distortion vs frequency. These figures were taken into an 8 ohm load, and the response and distortion vs frequency were taken at 1 watt and with a 25 ohm and a 600 ohm source impedance from the input signal generator. Figure 9 shows a table summarizing the results. Not shown is the frequency response, which was consistently -3dB at 25 Hz and 25 Khz with both the 25 and 600 ohm source impedance. All the parts had essentially the same 1 watt distortion at 1 Khz and 20 Khz with a 25 ohm source impedance, but all had more distortion at 20 Khz with 600 ohms, and so I include that data. All of these parts work well enough to use, and we note that the ubiquitous and cheap IRFP240 is no slouch, however two parts stand out. The SJDP120R085 Jfet has the lowest distortion at all power levels and frequencies, except at 20 Khz (600 ohm source), where the SJEP170R550 beats it due to it's low input capacitance. I don't have the time and space to examine all the permutations for different parts values with the different devices, but we will look at the most interesting example, the SJDP120R085. Playing around semi-randomly with the adjustable values and test equipment, I settled on a set which looked like a good compromise, and I present it here in Figure 10. Figure 11 shows the distortion vs amplitude for this version of the amplifier. 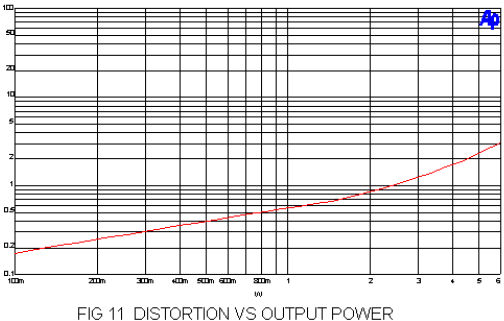 Figure 12 shows the distortion vs frequency at 1 watt. I adjusted R3 to give the amplifier a damping factor close to 1, and while this could have been done at R2, it's nice to have a little resistance on the output. 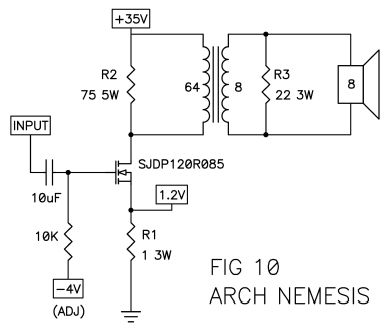 Comparing Jan's Nemesis figures to the Arch, I note that that they both would be considered about 6 watt amplifiers, with Jan's having 3 or 4 dB more gain. The Arch achieves about one third the distortion in the midband at 1 watt, and slightly better numbers than Jan's at 6 watts. The top end of Jan's transformer has similar distortion figures, but has approximately an octave more bandwidth. At the bottom, Jan's version does not make it quite as low, but has a bit less distortion. Offhand I think Jan's transformer is a little better, and I'm willing to bet it was a lot more expensive than Electra Print's. It looks as though the SemiSouth power Jfet was better than Jan's transistor, and I know it cost a lot more. All in all, I would expect a strong family resemblance between the two amplifiers. It's not easy carrying bread-boarded amplifier channels over to the HiFi system. I have learned to glue the parts down so they don't fall off the plywood. I recommend a hot glue gun, as no one wants to wait while silicone sets up. I also have learned to clean up my soldering and tie down my wires, lest they get snagged and short. No clip leads, and commercial regulated power supplies. Having accomplished the move, I hooked it up to my bi-amped open baffles driving either a pair of Lowther PM5A's or Feastrex D9nf from 150 Hz on up. Both loads are 16 ohm with efficiencies of 96 and 92 dB respectively. This represents a fortuitous setup for this amplifier, as it doesn't have a lot of power or damping factor, doesn't ask for much on the bottom end, and doesn't have more bandwidth than the amplifier. My comparison amplifier was an F2J (an F2 using the SJEP120R100) which has comparable gain, mid-band distortion, second harmonic characteristic and was also set for a damping factor of 1. It was a good match, particularly as the F2J has a very much wider bandwidth which I would expect to highlight the top end differences with the transformer. You may have guessed by now that I like simple music. Single guitar and vocals, low key jazz trios and quartets from the 50's and early 60's, Ella Fitzgerald, Sarah Vaughan, Nina Simone, contemporary lounge, and postmodern classical. These types bring out the best in full range drivers and little amplifiers. I have a very scientific procedure for evaluating the sound – I sit and listen to whatever I like for as long as I want. I sincerely try to get the best out of each thing tested and usually it takes a couple days of part time effort, and inevitably an impression emerges into words . Mostly I find myself looking for sound that relaxes me while still presenting a lot of information. To cut to the result, this amplifier does just about that. I believe I can hear the limited bandwidth, but it doesn't matter a lot. The sound is a little more tube-y than the F2J, but that makes sense – there's a transformer in there. All told it's very musical and toe-tapping. One of the interesting things about this amplifier as compared to the F2J is that it seems as if the limited high frequency bandwidth tends to focus your attention on the midrange, which as Paul Klipsch said, is where we live. It's as if the lesser distraction brings midrange into sharper relief, paradoxically revealing more detail. I recall my impressions of the single-ended tube amplifiers I've had in the system, and it seems to me that the Arch Nemesis manages the lower distortion of those that used feedback and some of the less effable character of the nonfeedback types. Toward that end, I think it offers a bit of both. I have tried to structure these schematics in such a way as to encourage experimentation should you decide to build this amplifier. None of the values or parts are cast in cement, and you should feel free to play with different parts and values. In addition to the usual cautions about high voltage, I will add that you want to avoid running too much current through the transistor and you want to make sure the transistor gets enough heat sink – probably about 0.5 deg C per watt per channel. It is my understanding that Jack at www.electra-print.com will be offering the transformers for sale at reasonable prices. They are recommended, but of course there may be others available. As long as they resemble the specs for the one used here, then they will at least work. I used commercially available regulated variable power supplies. Some of these are available at modest cost. At www.mpja.com there is a Mastech HY3003F-3 which offers a dual 30V @ 3A variable with an isolated 5 volt fixed which can be used for the bias voltage with depletion-mode devices. These have the convenient features of limiting and readouts of voltage and current for each channel, but be aware that they fan cool if they get hot. Figure 13 shows how you might decide to configure the bias for enhancementmode devices. Figure 14 shows how you can set it up for both enhancement and depletionmode parts should you want to play around. In Fig 14 keep in mind that you do not want to apply the main V+ without this external negative supply or the bias will become very high. You can build your own supply as you like, and you can always visit the happy helpers at the Pass Forum at www.diyaudio.com for advice and camaraderie.